Still life with melon and silver jug. For exchange links with us it is necessary for you to write the e-mail on the address links@modernrussianart.com. In a body of the e-mail there should be a brief description of your site and a code of the link. Internet gallery of artists of Russia. All kinds of the modern art: the fine arts, applied art, a sculpture. Painting, the schedule, a portrait, a landscape, primitive art. 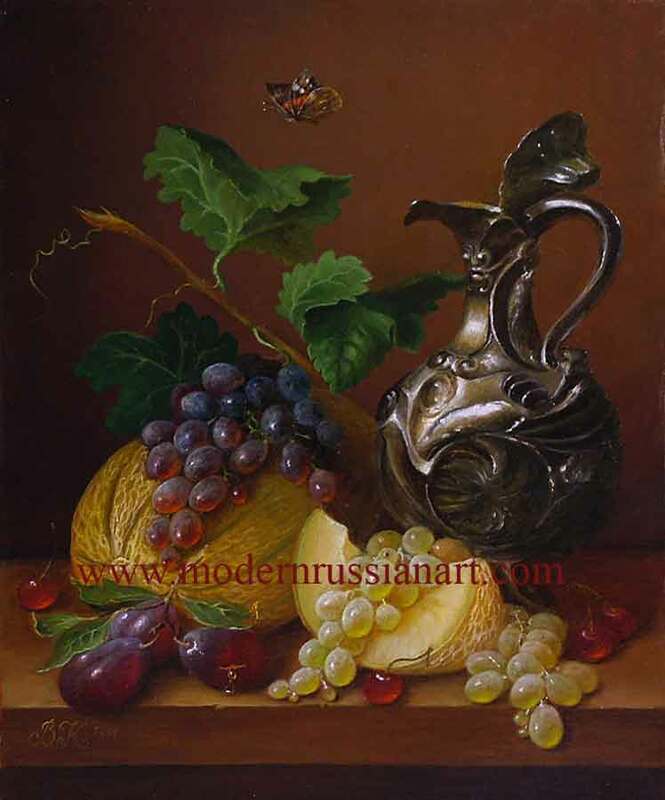 Copyright © 2003-2004 http://www.modernrussianart.com. All rights reserved.